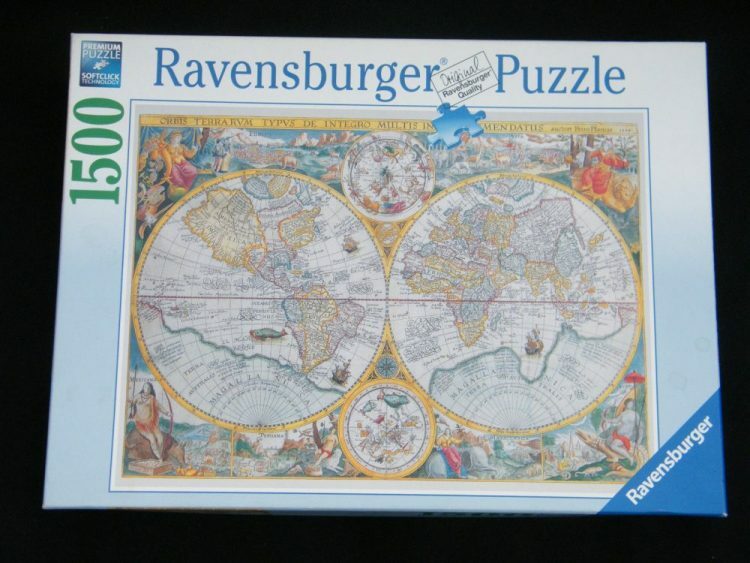 Ravensburger published this puzzle in 2010. The title is, World Map 1594. The full title is Orbis Terrarum Typus De Integro Multis In Locis Emendatus auctore Petro Plancio 1594. This striking map of the world engraved by the Dutch master Jan van Doetecum holds the distinction of being the first world map to use a style of richly decorated borders that would become the standard for world maps for over 100 years. The map has great importance geographically, particularly in the mapping of the Arctic and the Far East. The map contains a marvelous attempt at a North-West Passage. Plancius was one of the first Europeans able to penetrate the wall of secrecy surrounding the manuscript portolan maps produced by Spain & Portugal. This puzzle is NEW, with its original FACTORY SEAL. There appears to be a 3.5 cm mark on the left box edge but unable to ascertain if it is on the box or the plastic wrap but suspect it is the box. There are several larger versions of this puzzle by different brands. 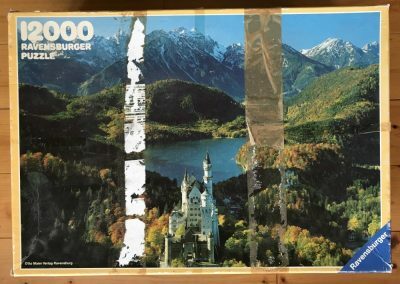 One example is the 3000 pieces version by Fame. 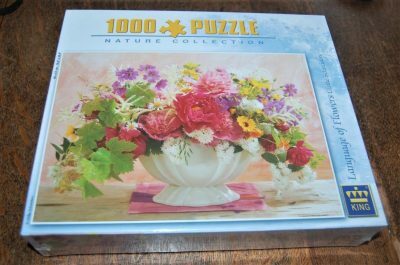 Puzzle size: 80 x 60 cm.